Where there is charity there is peace, and where there is humility there is charity. Homilies on the First Epistle of John, The Works of Saint Augustine, ed. Daniel E. Doyle and Thomas Martin, trans. Boniface Ramsey (Hyde Park, NY: New City Press, 2008), 20. He concludes by saying how the word of life is to be received. And first, indeed, he intimates that it cannot be rightly received except it be implanted, or strike roots in us. For the expression, to receive the implanted word, ought to be thus explained, “to receive it, that it may be really implanted.” For he alludes to seed often sown on arid ground, and not received into the moist bosom of the earth; or to plants, which being cast on the ground, or laid on dead wood, soon wither. He then requires that it should be a living implanting, by which the word becomes as it were united with our heart. He at the same time shews the way and manner of this reception, even with meekness. By this word he means humility and the readiness of a mind disposed to learn, such as Isaiah describes when he says, “On whom does my Spirit rest, except on the humble and meek?” (Isa. 57:15.) Hence it is, that so few profit in the school of God, because hardly one in a hundred renounces the stubbornness of his own spirit, and gently submits to God; but almost all are conceited and refractory. But if we desire to be the living plantation of God, we must subdue our proud hearts and be humble, and labour to become like lambs, so as to suffer ourselves to be ruled and guided by our Shepherd. 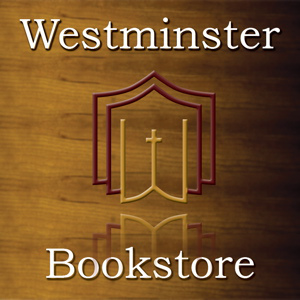 Commentaries on the Catholic Epistles – James (Bellingham, WA: Logos Bible Software, 2010), 294–295. With good reason the ancient proverb strongly recommended knowledge of self to man. For if it is considered disgraceful for us not to know all that pertains to the business of human life, even more detestable is our ignorance of ourselves, by which, when making decisions in necessary matters, we miserably deceive and even blind ourselves! But since this precept is so valuable, we ought more diligently to avoid applying it perversely. This, we observe, has happened to certain philosophers, who, while urging man to know himself, propose the goal of recognizing his own worth and excellence. And they would have him contemplate in himself nothing but what swells him with empty assurance and puffs him up with pride [Gen. 1:27]. But knowledge of ourselves lies first in considering what we were given at creation and how generously God continues his favor toward us, in order to know how great our natural excellence would be if only it had remained unblemished; yet at the same time to bear in mind that there is in us nothing of our own, but that we hold on sufferance whatever God has bestowed upon us. Hence we are ever dependent on him. Secondly, to call to mind our miserable condition after Adam’s fall; the awareness of which, when all our boasting and self-assurance are laid low, should truly humble us and overwhelm us with shame. In the beginning God fashioned us after his image [Gen. 1:27] that he might arouse our minds both to zeal for virtue and to meditation upon eternal life. Thus, in order that the great nobility of our race (which distinguishes us from brute beasts) may not be buried beneath our own dullness of wit, it behooves us to recognize that we have been endowed with reason and understanding so that, by leading a holy and upright life, we may press on to the appointed goal of blessed immortality. (b)But that primal worthiness cannot come to mind without the sorry spectacle of our foulness and dishonor presenting itself by way of contrast, since in the person of the first man we have fallen from our original condition. From this source arise abhorrence and displeasure with ourselves, as well as true humility; and thence is kindled a new zeal to seek God, in whom each of us may recover those good things which we have utterly and completely lost. 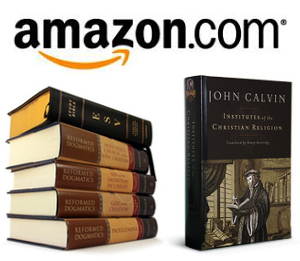 Institutes of the Christian Religion, Volumes 1 & 2, – ed. John T. McNeill, trans. Ford Lewis Battles, The Library of Christian Classics (Louisville, KY: Westminster John Knox Press, 2011), 241-242. B.B. 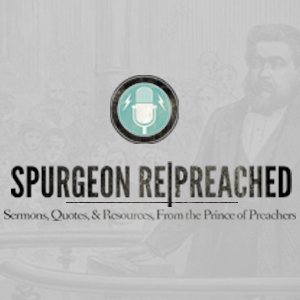 Warfield – Who Is The Calvinist? The exact formulation of the formative principle of Calvinism, as I have said, has taxed the acumen of a long line of distinguished thinkers. Many modes of stating it have been proposed. Perhaps after all, however, its simplest statement is the best. It lies then, let me repeat, in a profound apprehension of God in His majesty, with the poignant realization which inevitably accompanies this apprehension, of the relation sustained to God by the creature as such, and particularly by the sinful creature. The Calvinist is the man who has seen God, and who, having seen God in His glory, is filled on the one hand, with a sense of his own unworthiness to stand in God’s sight as a creature, and much more as a sinner, and on the other hand, with adoring wonder that nevertheless this God is a God who receives sinners. He who believes in God without reserve and is determined that God shall be God to him, in all his thinking, feeling, willing–in the entire compass of his life activities, intellectual, moral, spiritual–throughout all his individual, social, religious relations–is, by the force of that strictest of all logic which presides over the outworking of principles into thought and life, by the very necessity of the case, a Calvinist. Here, indeed, if anywhere in the secret mysteries of Scripture, we ought to play the philosopher soberly and with great moderation; let us use great caution that neither our thoughts nor our speech go beyond the limits to which the Word of God itself extends. For how can the human mind measure off the measureless essence of God according to its own little measure . . . ? Let us then willingly leave to God the knowledge of himself. . . . But we shall be “leaving it to him” if we conceive him to be as he reveals himself to us, without inquiring about him elsewhere than from his Word. . . .
And let us not take it into our heads either to seek out God anywhere else than in his Sacred Word, or to think anything about him that is not prompted by his Word, or to speak anything that is not taken from his Word. Repentance is in every view so desirable, so necessary, so suited to honor God, that I seek that above all. The tender heart, the broken and contrite spirit, are to me far above all the joys that I could ever hope for in this vale of tears. I long to be in my proper place, my hand on my mouth, and my mouth in the dust. . . . I feel this to be safe ground. Here I cannot err. . . . I am sure that whatever God may despise . . . He will not despise the broken and contrite heart. Roots of Endurance (Wheaton, IL; Crossway Books; 2002) p. 110. Jonathan Edwards – What is Spiritual Light?